Pregnancy, or Pre-Natal Yoga is a specialised yoga class for pregnant women. The physical postures (asanas) are modified from classical yoga, and some unique poses and movements are included which you won’t find in a regular class. There are some classical breathing techniques plus some very important Birthing Breaths. The classes follow the same structure as a general yoga class, but are dedicated for pregnancy – you don’t have to be an experienced Yogini to attend. These classes are very suitable for yoga beginners. Many Mums start their Yoga journey during these classes. Mama, Birth and Baby can offer you a gentle pregnancy fitness class which will maintain your health and well being right up to your due date. What will a Session cover? In the sessions, we will cover a variety of Breathwork techniques that can be useful for Labour, for lowering the Blood Pressure, calming and relaxing, energising and focusing. The Posture work will train your body to understand what position and movements you feel comfortable with and that you may wish to use during labour. There are gentle hip openers, back stretches, and standing postures for strength, balances and flowing sequences to improve the circulation. And lots of stretches to ease out hip pain, rib pain, cramp, backache, and lots more! The relaxation or meditation at the end of each session allows you to access deep reserves of energy and bring about a profound sense of calm. And there will be lots, and lots of information! 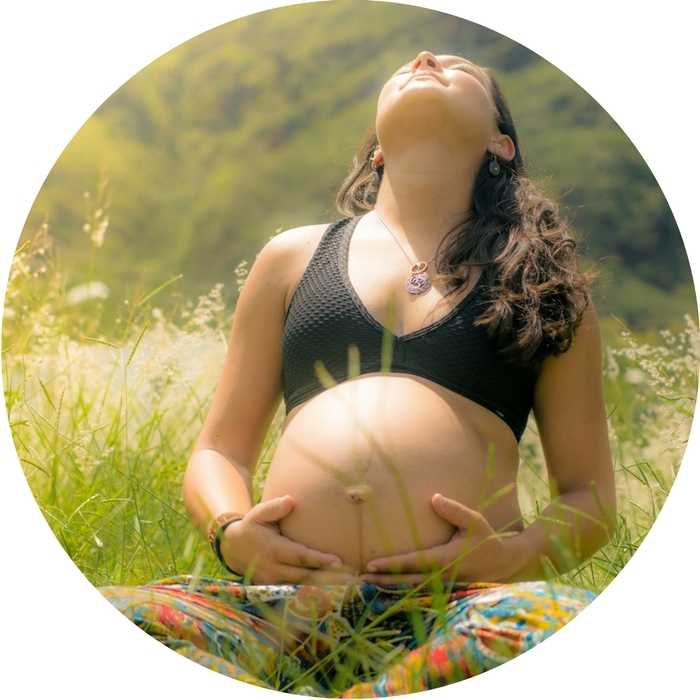 There are specific sessions on:- working with birthing balls; breathing for labour; useful positions to adopt during labour; how to encourage your baby into the optimum position for labour; sacral massage; chair work and partner work. There is also the opportunity to book a Half Day Birthing Workshop with your Partner.